Rohini Hattangadi looks back in time. 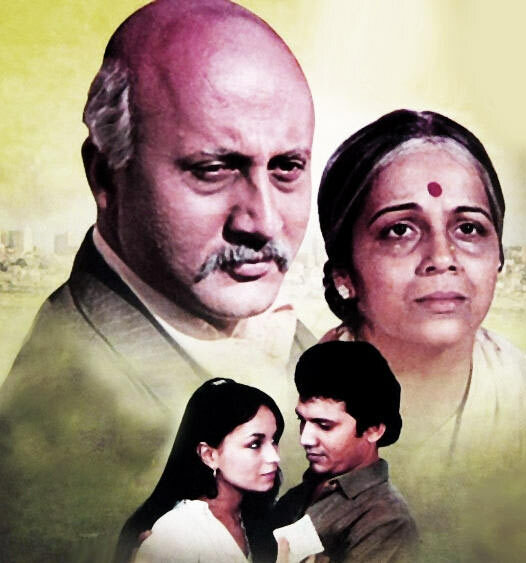 Mahesh Bhatt's brilliant movie Saaransh released 30 years ago on May 25. Starring debutant Anupam Kher and relative newcomer Rohini Hattangadi, the film told the story of an elderly Maharashtrian couple grappling with the death of their only son. Saaransh went on to win the National award for the Best Film, and it was also India's official entry for the 1985 Oscars in the Best Foreign Language Film category. Rohini Hattangadi was only 28 years old at the time but her performance as the 60-plus housewife is still etched in everyone’s memory. 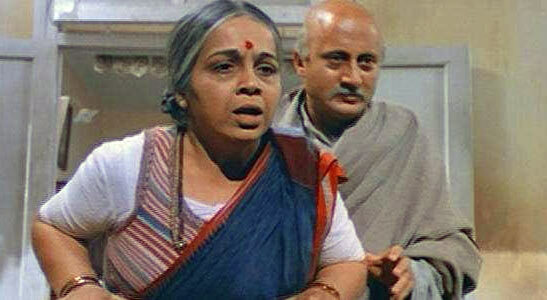 The veteran actress goes back in time, and shares her memories of Saaransh with Sonil Dedhia. Anupam and I were in our late 20s when we did Saaransh. 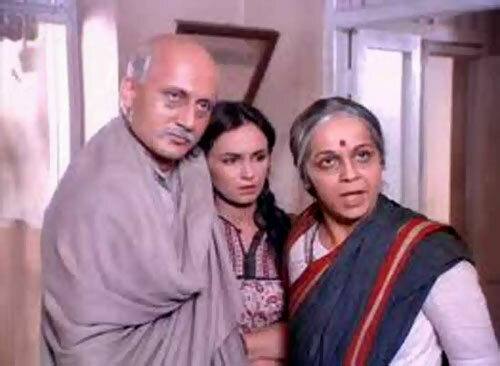 We would tease Soni Razdan and Madan Jain that although we play an elderly couple, we are the main lead in Saaransh. We shot a start-to-finish schedule for the film. An interesting fact about the film is that the house that you see in the film actually existed in Shivaji Park in Mumbai; a replica of it was built in Mehboob Studios in Bandra with just Anupam and my bedroom added on. The set was so beautifully made and so similar to the original that sometimes we didn’t know whether we were shooting in the actual house or on a set. 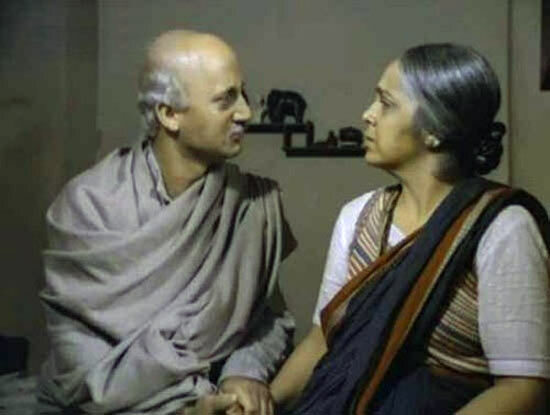 Anupam and my role as an elderly couple was quite believable only because of one person -- Suhash Bhalekar. He is a much senior actor and he was amazing in the film. He made our pairing look even better. Anupam and I are both theatre actors. Mahesh Bhatt (director of the film), would tell us to anticipate a particular scene using our own experience. He gave all the actors this freedom and that was reflected in the performances -- it gave the natural feel to Saaransh. 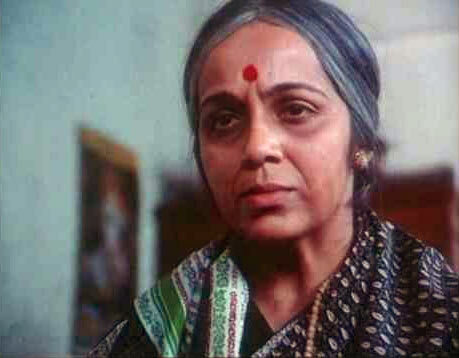 When Mahesh (Bhatt) came to narrate the script, I told him I didn’t want to play the role of an old woman again (after playing Kasturba Gandhi in Richard Attenborough’s Gandhi). I rejected Saaransh outright. After Gandhi, I was flooded with mother roles. I didn’t take up most of them. Mahesh, in a sweet way emotionally blackmailed me (laughs). He said that if I did not do the film, he wouldn’t make it. I requested him to narrate the entire film and I loved it. I have a lot of memories of the film. One of the toughest scenes to shoot was the climax scene, where Sujata (the character played by Soni Razdan) is leaving the house and I am not letting her go. It was one of the longest sequences we shot. We started at 9 in the morning and finished at 6 the next morning. We realised that it was a long scene and we had to shoot it at one go to get the emotional flow without a break. The whole unit contributed to that scene. Saaransh had no superstars and that could be seen when we were shooting the film. Anupam and I would help each other to improve our performances and so did the other actors. Mahesh gave us the liberty to improvise. I remember one scene where Anupam and I are taking Soni Razdan’s character to the hospital. As we are crossing the road, I see a cow. I go and touch it and take the blessing. Taking the cow’s blessing was not part of the script, but these little touches made Saaransh a beautiful film. It may sound amateurish today, but there wasn’t a single person on the sets, including the spot boys, who would leave the sets just because they had done their work. Everyone would wait till pack-up. This made us believe that Saaransh was our film. I knew Anupam as I was three years senior to him at the National School of Drama. I had seen one of his plays in Delhi. Anupam is a brilliant actor. While shooting for Saaransh, I was convinced that only he could have played the part. He nailed the character. I also feel that the freedom given by Mahesh helped him evolve his character on his own. I had worked with Mahesh in Arth and found him to be a very down-to-earth director. Since I didn’t belong to a film background, I wasn’t aware about Mahesh’s earlier work. When I came to know that he had made a film called Lahu Ke Do Rang, I couldn’t stop laughing! I went up to him and said, ‘Mahesh tumne Lahu Ke Do Rang jaise bhi commercial picture banayi hai’ (You have also made a commercial film like Lahu Ke Do Rang). I couldn’t imagine him making a commercial film. He is a very intense person in real life. I remember that he narrated Saaransh very vividly. He would describe the scenes with gestures; it was fun to listen to him. Once he had a sore throat and couldn’t talk. We hardly heard his voice and because of that the whole enthusiasm on the sets died down. That day, we didn’t feel like we were shooting. We would urge him to say something. At the end of the day, he could speak a little and we all felt better. Mahesh had approached Anupam for the lead role but the Barjatyas (producers) wanted Sanjeev Kumar. When I got the news that I was going to be paired opposite Sanjeev Kumar, I was really happy. It was my dream to work with him (laughs). I am a big fan of his. I had a couple of opportunities to work with Sanjeev but they had never materialised. Later I realised it was the correct decision to have Anupam Kher play the part. Our characters as Pradhan and Parvati, a middle class couple, had to be believable. Star power for either of the roles would have been a totally different ball game. Missing out on the Filmfare award. At that time, I regretted not winning the Filmfare award for Best Actress. But looking back, it doesn’t really matter. I remember Shabana Azmi had two nominations that year, for Bhavna and Sparsh. I was nominated for Saaransh and Smita Patil was nominated for Aaj Ki Awaaz. When I heard that Shabana won it for Bhavna, I was shocked. I wouldn’t have minded if she had got it for Sparsh. Amal and Nissar Alana had done the costumes and since I am a Maharshtrian and the character that I was playing in the film was of a Maharshtrian lady, they asked me for suggestions. The most fascinating part of my costume was the sleeveless sweater for me. I think that nailed my character. I was so happy to see myself for the first time when I wore the costume that I realised this was it. I don’t know from where they produced it but it was probably the best appearance my character Parvati could have ever got in the film. When it comes to the make-up, Anupam had to shave off his hair and wear a wig. I had to wear a wig too. It would take us around one hour to get ready for the shoot. We never thought Saaransh would become such a huge success. The subject of the film was very serious and it involves an elderly couple so we were a little unsure. It was a risky proposition. We had our doubts whether the film would be accepted. At the same time, we knew that the film would touch people’s hearts. Although the film didn’t do well in the theatres, it is because of its run on television that the film did well and people still remember it.